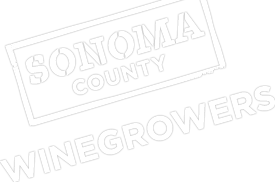 Each year, the Sonoma County Winegrowers hosts a series of events celebrating the work of our grape growers and educational programs to support their efforts. Each event offers a unique opportunity to engage with our constituents and provides a variety of levels of visibility for your company. We invite you to learn about the multiple special events we host annually. If you are interested in learning more about these opportunities and how to connect with grape growers, please contact Alisha Basich at [email protected] for details. Our annual Dollars & $ense Seminar and Trade Show is one of the North Coast’s longest running and most widely attended wine industry tradeshows for grape growers and vintners. Each year more than 500 grape growers, vintners, wine industry professionals and over 60 trade show exhibitors gather as a community to discuss the industry’s most important issues. Tradeshow exhibitor registration is now open. Please contact Alisha Basich @ [email protected] for more information. Our annual Grower Seminar, Barbeque and Trade Show is open to the public and hosts over 300 people annually. The trade show features over 50 exhibitors highlighting the industry’s best services and innovative products. During the grower seminar, past presenting speakers have explored issues such as national security, borders and immigration; current local and regulatory issues, succession plans and the preservation of agriculture. This annual educational event and trade show focuses on helping grape growers improve sustainable practices. Industry professionals attend to learn about new viticulture innovations and methods and discuss effective, proven sustainable farming practices with experts and peers. Each year 200 grape growers, vintners, wine industry professionals and over 40 trade show exhibitors gather as a community to discuss the industry’s most important issues. After each harvest season, Sonoma County Winegrowers hosts the annual Holiday Harvest Celebration for our grape growers and wine community members. More than 200 Sonoma County grape growers, SCW Commissioners and staff gather each holiday season for this special occasion to celebrate the success of the harvest season, and our grape growers’ hard work. In the spirit of the holiday season, we also choose a local philanthropic cause to support. To inquire about our Presenting Sponsor and Event Sponsor Opportunities, please contact Alisha Basich @ [email protected] If you are interested in becoming a Annual Sponsor, visit www.sonomawinegrape.org/sponsors. Additional sponsorship opportunities to support the work of the Sonoma County Grape Growers Foundation are also available. For more information, please visit www.scggf.org.